SANDUSKY, Ohio, (October 19, 2016) SealMaster, the pavement maintenance industry’s one-stop source for materials, products, and equipment, and Kalitta Motorsports are pleased to announce a contract extension for the 2017 season. SealMaster will continue as the primary partner on J.R. Todd’s Top Fuel dragster for the 2017 NHRA Mello Yello Drag Racing Season. SealMaster will remain an associate partner on the Top Fuel dragster driven by Doug Kalitta and Funny Cars driven by Alexis DeJoria and Del Worsham. Associate partnership has also been extended to the Top Fuel dragster Troy Coughlin, Jr. will race. SealMaster will also enter into its fourth year headlining the NHRA SealMaster Track Walk, which kicks off before racing begins on the final day of each Mello Yello Series event. The tradition calls fans to the dragstrip to experience its sticky, glue-like traction first-hand with drivers and other celebrities who traditionally lead the walk. SealMaster franchisees manufacture pavement sealer and distribute a full line of pavement maintenance products and equipment throughout the United States, including Puerto Rico. Franchisees serve contractors, public and private road maintenance departments, property managers and others charged with pavement maintenance and preservation. The franchise system first signed with Kalitta Motorsports in 2014 as an associate partner of the Top Fuel dragsters driven by Kalitta and Todd. 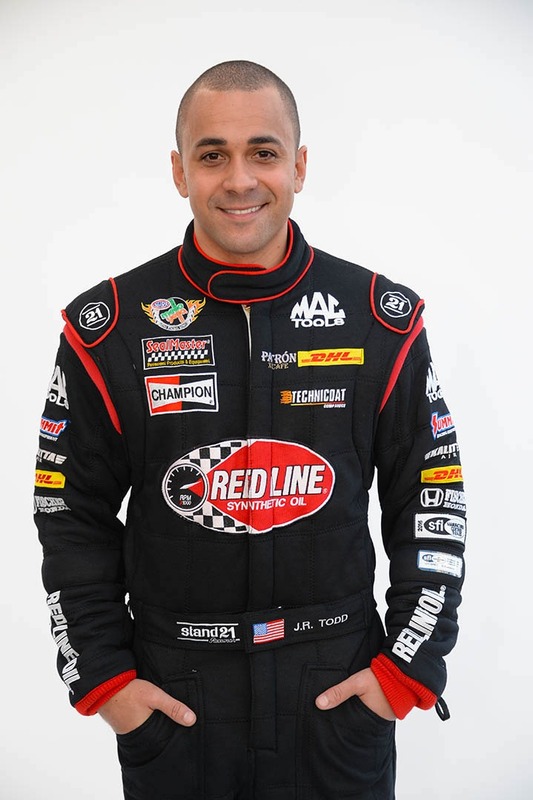 In 2015, the relationship expanded to the primary level for two races with Todd before becoming Todd’s title partner for the entire 2016 season. Todd has taken the fan-favorite SealMaster scheme to his career-best season, with a new high in round wins and matching his rookie year total of four final round appearances. He gave SealMaster its first win as a primary partner with a victory at the Toyota Sonoma Nationals in July. Todd clinched his third consecutive Countdown for the Championship appearance with a semi-final effort in Seattle and has ranked among the top eight drivers in the Top Fuel standings after every race this season. SealMaster, the One-Stop Source for pavement maintenance products and equipment, is the world’s leading manufacturer of pavement sealer with more than 100 locations in the United States, including Puerto Rico; licensed distributors in Canada, China, Israel, Mexico, Sri Lanka, and Sweden; and distribution in more than 50 countries. Through its franchise system, SealMaster distributes a full line of pavement maintenance products, tools and equipment for asphalt, concrete and sport surfacing. Pavement maintenance professionals, property managers and owners, municipalities and others rely on SealMaster products and equipment to protect, preserve and beautify paved assets. Fox Sports: Doug Kalitta wins by less than 0.0001 second in NHRA Top Fuel final! CHARLOTTE, NC. 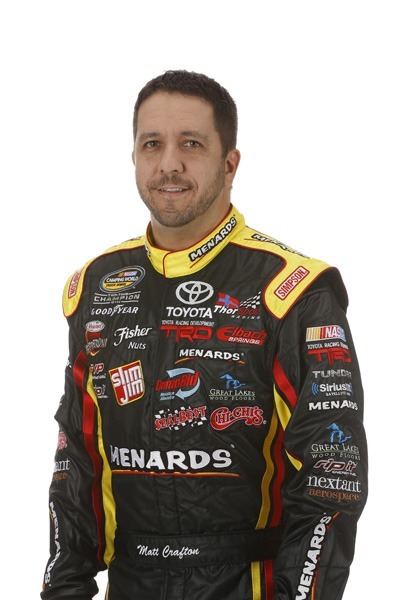 (March 24, 2015) – Kalitta Motorsports and J.R. Todd, driver of the Red Line Oil/Kalitta Air Top Fuel dragster, are excited to welcome Matt Crafton, two-time and defending NASCAR Camping World Truck Series champion to the Charlotte 4-Wide Nationals and the SealMaster Track Walk this coming Sunday. Todd and Crafton, along with Pro Stock drivers and brothers Shane and Jonathan Gray, will lead the SealMaster Track Walk at the Charlotte 4-Wide event. Fans are encouraged to participate in the track walk, which begins at 11:45 a.m. on Sunday. Crafton, the only driver to win back-to-back championships in NASCAR’s Camping World Truck Series, is coming off of a dominating win in Atlanta. On Saturday, Crafton will compete in the series’ third event of the season, the Kroger 250, at the historic Martinsville Speedway, a race he won just one year ago. Crafton’s team, ThorSport Racing, and SealMaster, the most trusted name in pavement maintenance for more than 40 years, are part of the ThorWorks Family of Brands. SealMaster is in its second season of sponsorship of Kalitta Motorsports’ Top Fuel teams of Todd and Doug Kalitta. Grease the packing glands and bearings. Flush the inside of the tank completely with water. A pressure washer is recommended for this. Pump the wash down water and sealer residue out through the pump and hose into a container. Remove plug from the bottom of storage tank and allow any remaining water to drain out into a container. Grease the threads on the plug and replace plug immediately. Remove and clean the basket strainer. Turn pump on, with basket strainer lid opened, and flush basket strainer with clean water. Mix up to 2 gallons of antifreeze solution and flush that through basket strainer and pump. Close manhole on top of tank to prevent rain and snow from entering tank. Remove the rear housing of the material pump. Pull out the lower pump gear and thoroughly wash with water. Rinse out the pump housing. Brush oil on all interior parts of the material pump including gears, housing, back plate and bolts. Slide rear housing plate back onto material pump. Replace bolts but do not tighten. Be sure to leave a gap between the housing plate and pump housing. This must be done to prevent pump from cracking during the winter. Remove spark plug and spray W-D 40 (or similar penetrating oil) into the cylinder and replace spark plug. Cover and wrap the engine with plastic or canvas to protect from weather. Shift forward/reverse agitator valve into position to protect the spool valve from the weather. Close the agitator speed control valve to protect the valve shaft from the weather. NOTE – Temperature should be below 32° F when chipping sealer on inside of tank. Colder temperatures will cause the dried sealer to be more brittle, making the job much easier. Please be sure to follow Lock Out/Tag Out and Confined Space Entry procedures when entering tank. Remove clean-out cover from the rear of the tank. Use an air-opened chisel with a 2-inch spade bit to remove dried sealer. Wear proper hearing protection. Start chipping at the top of the tank and work your way down the sides of the tank. Use a shovel to remove accumulated sealer chunks out through the clean out hole. Be sure to chip and remove the sealer from the agitator shaft and blades. Tighten the bolts on the pump housing plate. Uncover the engine and replace battery. Put 50 gallons of water in sealer tank and check for leaks. Start engine and pump water out. Fill material tank with approximately 50 gallons of water and agitate well. Pump the water out through the spray wand and spray bar. Disconnect the spray hose and lay it on the ground in a fully extended position allowing it to drain completely. Find the lowest point on the material pump plumbing system and open drain valve or remove plug. If you have a Roper, Bowie, or similar type gear pump: Loosen all of the bolts on the backplate. Separate the endplate from the center case so that the water drains out. Leave end plates separated over the winter. If you have an air diaphragm pump: Disassemble the pump and allow water to drain out. Leave pump disassembled over the winter. Rather than disassembling pumps for the winter, you may elect to pour a couple of gallons of propylene glycol into the basket strainer. Turn on the pump to distribute the antifreeze throughout the system. In the spring time you will need to flush the system thoroughly with water and dispose of the waste water properly. To winterize water tank system, remove the drain plug on the water tank and water pump and allow to drain completely. Or you can run antifreeze through the system, making certain to flush thoroughly in the springtime. Drain all gasoline from engine. Disconnect the battery and take it inside your building. Wash battery with a solution of baking soda and water. Cover the engine with a plastic trash bag. Cover any locking caps with small plastic bag. Put a thin layer of grease on any exposed hydraulic cylinders. Scrape any sealer residue from inside the tank and on the outside of the machine. Now is the time to do any necessary maintenance and repairs. Remove gasoline and oil; replace filters. Remove and replace the old Heating Transfer Oil with new, and replace the burner nozzle if necessary. Flush the tank with the old transfer oil to melt and clean the system (DO NOT ALLOW MELTER TO HEAT OVER 300°F). Let it run most of the day to remove build up.